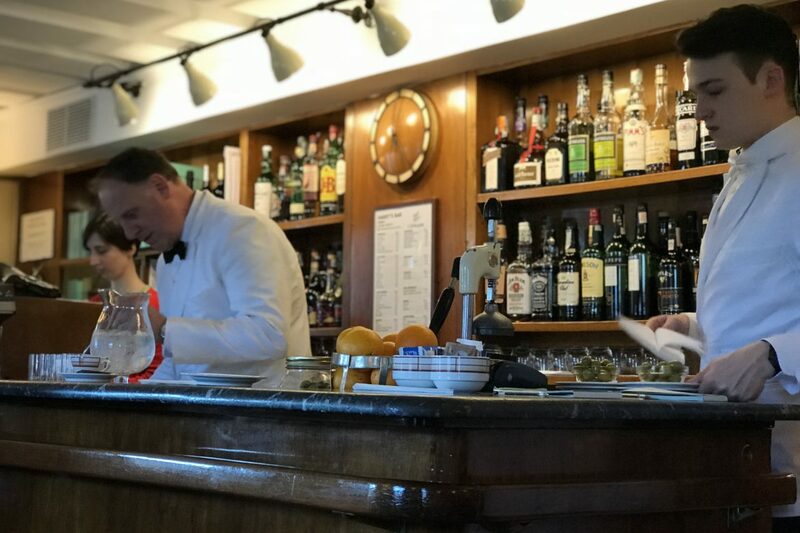 Of all the cocktail bar names out there, ‘Harry’s’ has to be among the most popular, conjuring up images of high quality cocktails served with immaculate style and service, thanks to the standards set by the Ciprianis in Venice. What the name also does is cause a fair degree of confusion; are they all separate entities or are they all owned by the Cipriani family, the originator of the name ‘Harry’s Bar’. Then there’s the whole issue of which is the original: Harry’s Bar in Paris or Venice? Oh and which one invented the Bellini: Venice or Florence? It can be something of a minefield. 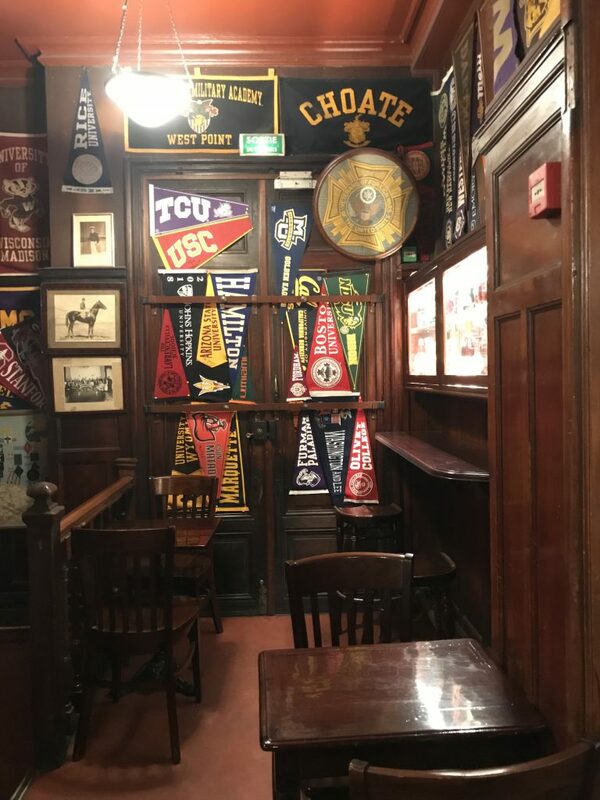 So, on a recent trip around Europe with my fiancé, I decided to visit the Harry’s Bar in each city we visited. I wanted to see just what they were like, and just how, if at all, they were connected, and to answer the numerous questions surrounding them, all the while, of course, testing their cocktail skills. (There are a number of other Harry’s across the world, notably a few in New York and one in London, but they are either comparatively late spinoffs by the Ciprianis or by those hoping to have them come on board, or famously have no connection at all. So they don’t impact upon my quest. The starting point, of course, was the grande dame of the Harry’s: Harry’s Bar in Venice. Considered the original, Giuseppe Cipriani opened the bar in 1931. The circumstance around its opening has become something of cocktail bar lore. Working in the bar at The Europa in Venice, he loaned a ‘down on his luck’ American and long time customer, Harry Pickering, 10,000 lire. Thinking never to see it again, to Cipriani’s amazement Pickering reappeared months later not just with the 10,000 lire, but a further 40,000 on top of it as a thank you. With this the two men co-founded Harry’s Bar (Giuseppe would eventually buy out Pickering’s share of the business for a fair price, minus his not insubstantial bar tab,) in the old cordage warehouse, opening 13th May 1931. There’s something I must confess. The first time I visited Harry’s, as it’s known to all and sundry, I was probably no more than 12. Here I was, a child obviously knowing nothing of cocktails, but aware from what my parents had told me that this was one of the great bars of the world. Stood on the precipice of the door set into the bare wall of a very non descript building at the far end of a narrow back street just round from St Mark’s Square, I was expecting to open the door to find myself in the entrance to a luxurious bar in the mould of the American Bar at the Savoy or other similar spaces. What greeted me was an utter disappointment: a single room, plain and brown, rammed with tourists. I can’t remember what I had but my parents ordered Bellinis and were disappointed having had better ones elsewhere. So, going back, I wasn’t so much apprehensive but determined to keep an open mind and quizzical about whether time, distance, age and a love for cocktails would make me feel different about the bar. Arriving just after 5.30pm so as to miss the tourists, we were shown to the front central table just across from the end of the bar, allowing us a full view of everyone going in and out, the barmen at their work and the staff coming in and out from the kitchen and storage room. I shan’t go into the detail of the furnishings, like the three legged tables purposely chosen to stop the tables wobbling, but what I will say is that, while the bar still has the same brown dated feel I once deplored, now I have a great appreciation for it. The simple yet highly intricate thought out Art Deco panelling makes the room at once cooling and relaxing, so classically Italian. The bar occupying the main part of the back wall with all the tables arranged round it, is raised off the ground so that the barmen go up behind it to make the drinks as if they’re on a stage performing. And perform they do, but not for the audience, they just go about their business mixing the drinks with great skill and with the elegance only years of practice can bring. What came was a beautifully ice cold martini that had not suffered the cruel fate of touching ice during its birthing. It was crisp, cold and peppery, and as dry as the Sahara. What it lacked though was a twist, that strip of fragrant lemon that is key to the final tying together and rounding off of a martini, that elevates it and makes it so unbelievably drinkable and thirst quenching. Sadly its other downfall was that it wasn’t stirred, meaning that, by the time you got to the bottom of the glass, far from having a bone dry martini, you had one so wet you could say it was a reverse Montgomery. By this point of the martini the shift change occurred and a group of tourists and their children had come in; gone are the days of the clientele mostly being Italian nobles and globetrotting mega stars and businessmen. 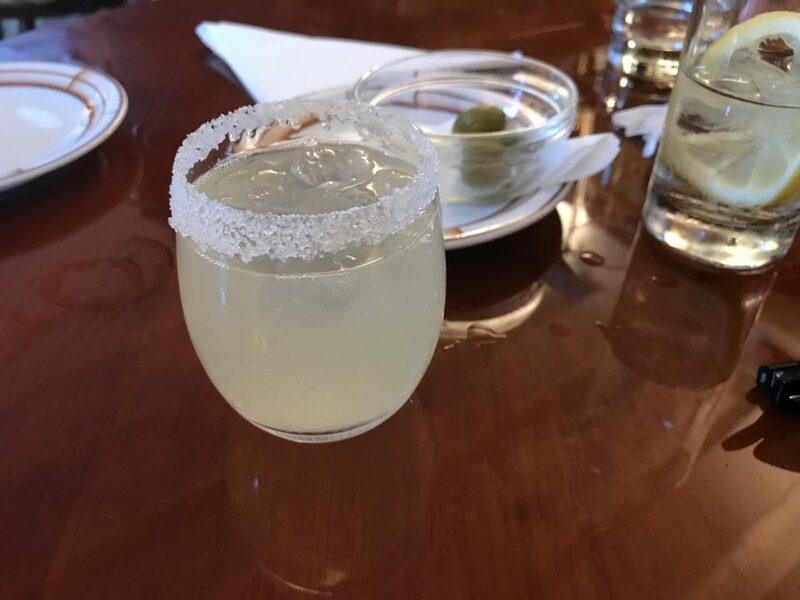 Nonetheless, feeling relaxed and very comfortable, we ordered a second round of drinks, an old fashioned for the fiancé and a margarita for me, both drinks requiring the barman to start from scratch as they don’t keep any parts of them pre-made. Both drinks were decent, if a little watery being served over so much ice, but sadly nothing to write home about. Among the famous inventions of Cipriani at Harry’s is, of course, the Bellini, a heady mix of pink Italian peach purée mixed with prosecco. But Harry’s Bar Florence has at times laid claim to being home of the Bellini, and was our second stop in our tour of Harry’s. The Florence bar is set on the great River Arno that cuts the magnificent Medici city in half. Opened in 1953, it hasn’t really changed since. The bar is the only non Cipriani owned Harry’s to actually have a link to it, having been founded by two bartender friends of Cipriani: Raffaello Sabatini (who trained under the legendary Harry Craddock at the Savoy in London) and Enrico Mariotti. Giuseppe Cipriani gave his support and advice as they went about decorating, kitting out and opening the bar. He even suggested they open it as a Florentine branch of Harry’s rather than naming it Boston Bar, and sent his trusted barman and cook to help them set up and get the drinks and food right. 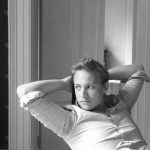 The issue over the Bellini? Well it is the home of the white Bellini, using white peaches rather than the pink peaches of Harry’s Venice, though one of their former barmen used to claim that he invented the Bellini before Cipriani, but with champagne rather than Cipriani’s use of prosecco, when working in an earlier bartending role. We had been told by Alessandro Palazzi to say hello to the head barman, not just because he is a superb barman, but because, as Alessandro said, ‘he has the best name in the business’ – Thomas Martini. I mean how perfect is that for a barman!? Unfortunately, on our first visit to the bar he wasn’t there. Nonetheless, we settled down, tucked in the corner on the far side of the bar (we later learned this is the favourite table of the long time regular locals given its all seeing position). The room is certainly darker lit, though with light pink walls, and the bar a larger and more imposing feature set central to the room and protruding into the centre of it, than at Harry’s Venice. One feature of the bar is that, thanks to the pink walls, the staff wear peppermint green jackets instead of the light traditional white jacket of the Italian barman and waiter. We started with our ubiquitous martini (€20) and were, I’m sad to say, very disappointed. The drink was only slightly chilled (the room was extremely warm and the bottles are just on the shelves behind the bar) and wasn’t just wet with excess vermouth, it was very watery. A nice feature of the bar, though, is that they bring you a plate of selected hot and cold aperitivi to have with your drinks. 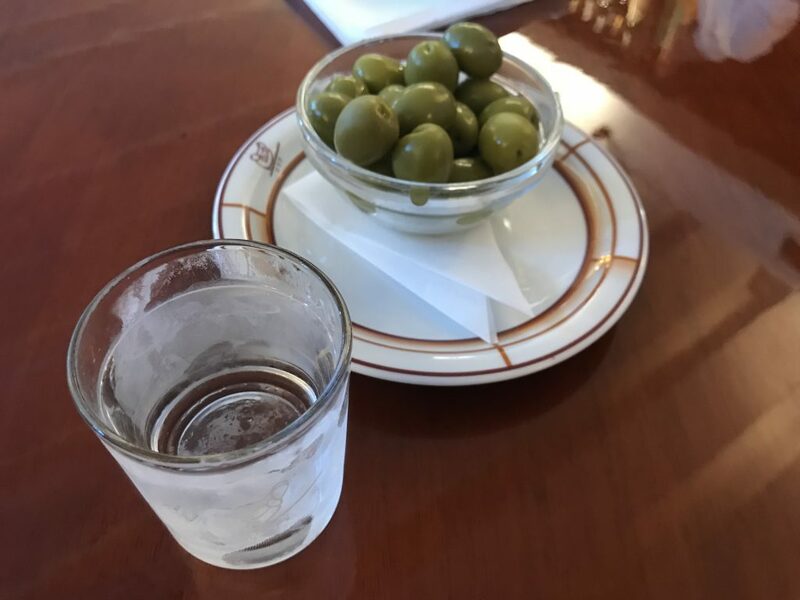 In Venice it was just a bowl of the standard large green olives that all the best bars now provide. 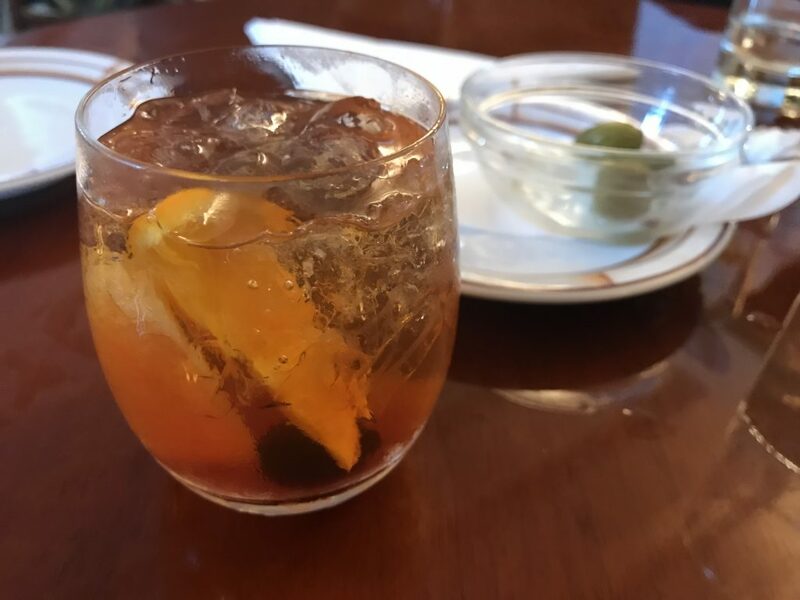 The follow up old fashioneds, however, were on point, and came with not just a second plate of aperitivi but a new selection of them too! We certainly enjoyed the bar; the staff are wonderfully friendly and the atmosphere is old school Italian. But, on the strength of the drinks, we were in two minds about returning for a pre dinner drink in a couple of nights time, when we’d be off for a superb Bistecca A La Florentina at one of the best spots for it just across the river. However, the good points and the knowledge that the drinks had not been made by the talked of skills of Thomas Martini, persuaded us to return. And I’m glad we did. On our return, standing out among the sea of green jacketed waiters was a short man in a black suit and a stern expression to whom all, even the restaurant’s maitre d’, deferred and sought approval from before even laying a table for dinner. This was the vaunted Thomas Martini. After we had taken the same table as at our last visit, he came over with the menus before heading off again. When he came back, as requested, we passed on Alessandro’s regards and for the first time that night a smile, a beaming smile, crossed Thomas’ face as we talked martinis and Alessandro (he had recently been in London and drinking at Dukes). It will not shock you that martinis were ordered and this time they were as different from the martinis we had ordered on our previous visit as Chinese and Japanese food are different. 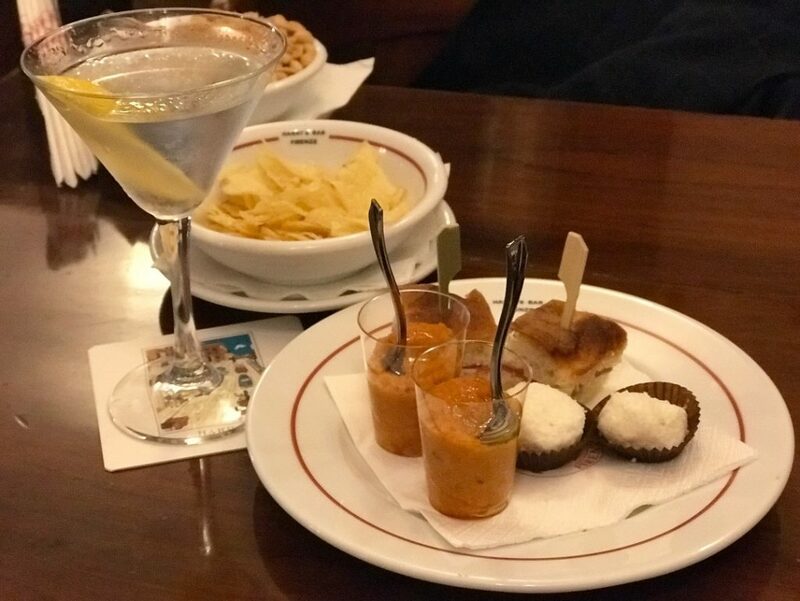 Each was bone dry and as chilled as possible given the warmth of the bar, and fragrant with lemon; a fine martini and enjoyed while chatting with Thomas and snacking on the aperativi. He was somewhat surprised we could stand a second drink (unfortunately the fiancé and I are too used to a Dukes martini) but was more than happy to supply us with refreshing, perfectly crafted, mojitos and a second set of snacks. Sadly this was the last time we were at the Florence Harry’s as we left the next day. It is a fine bar and I can see why many prefer it to Harry’s Bar in Venice. It is peaceful and calm where Venice is a constant hive of noise and activity. If you’re not a fan of that stripped back interwar Italian mingling of Art Deco and modernism that is the style in Venice, then the early 20th century decor of Florence is likely to be more your cup of tea. Drinks wise it’s hard to say; as long as Thomas Martini is making your drink, you are assured a cocktail of the same quality and craft as in Venice. 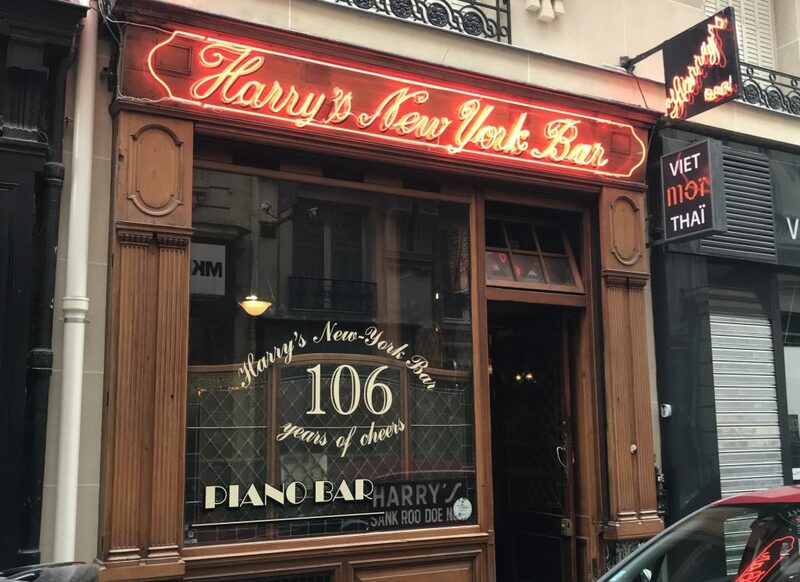 Our final Harry’s was to be Harry’s New York Bar in Paris, and it proved to be the biggest surprise of all. For years friends of mine who regularly travel to Paris for work (one an American) have talked of Harry’s in Paris being their favourite of all the Harry’s. At no point had they really told me anything of the place other than it’s location and it being a great bar. We took a seat at the large bar with its old American hotdog cooking stand bolted to it, now used to store plates, and an old school bronze beer pump. The white haired, white overall adorned barman was chatting away to a group of young French regulars. Harry’s Paris claims to have been the originator of about 10 cocktails over its long history, including that brunch classic and hangover soother, the Bloody Mary, the White Lady and the James Bond. Not to be left out of the Bellini game, it too claims to be the creator of a Bellini, the Bellini De Luxe, made from champagne, cognac, peach juice and peach liqueur. Like Harry’s Venice, Harry’s Paris has played host to innumerable well known names, including the redoubtable Ernest Hemingway. George Gershwin drank at the bar when he lived in Paris, writing pages of An American in Paris there; fittingly there is a piano bar downstairs. But it’s not just famous living people who have been here: the fictional wonder spy that is James Bond drank at the bar as a 16 year old having seen an ad in the newspaper, so Ian Fleming tells us. The keen jazz fans among you will have realised that Gershwin’s attendance at the bar while writing An American in Paris would have pre dated the founding of Harry’s Bar Venice by three years (1928 vs. 1931). Harry’s Paris traces its founding back to 1911 and thus lays claim to being the true original Harry’s, something that the Ciprianis refute and Harry’s Florence backs its Italian cousin in. The argument is over the issue of age versus length of time ‘Harry’s’ has been the name. Harry’s New York Bar was founded in 1911 with the simple name ‘New York Bar’. A former American jockey convinced a friend who owned a bar in New York to close it, dismantle it and ship it to Paris, where it was reconstructed and opened. Hence why the bar is so reminiscent of an historic bar you might expect to find in New York or Boston. 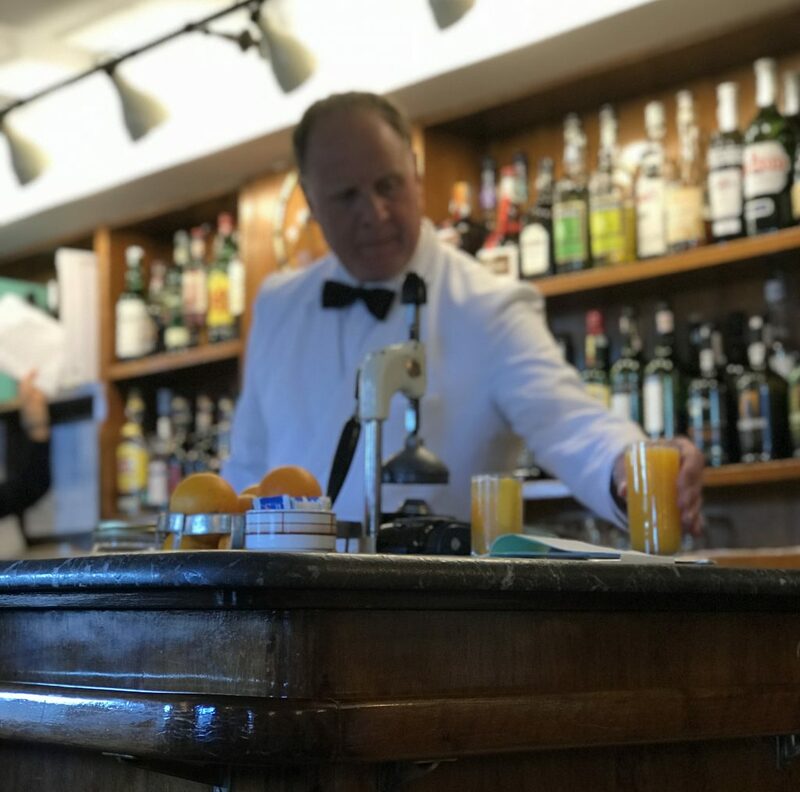 The bar went through a number of different owners before it was bought in 1923 by Harry MacElhone, a barman who had worked on the French Riviera, in the US, and at bars including The Savoy Hotel and Ciro’s. He is also the author of the classic cocktail book The ABC of Mixing Cocktails. Having the opportunity to buy the bar and wanting to return to Paris, he did so, and the family still own and operate it. He added ‘Harry’s’ to the name, making it ‘Harry’s New York Bar’, and it is because of the name change and the full name of the bar that it’s disputed as being the oldest Harry’s Bar, a name it is only known as colloquially. Given the prodigious number of cocktails the bar has created it seemed only right to give one of them a go and, being due at dinner an hour or so later, I went with the Bloody Mary (invented in 1921). So used to dressed Bloody Marys that balance cracked black pepper, celery salt, lime cordial and spicing with vodka and a high quality tomato juice, I was somewhat taken aback by the simple drink presented me. A large glass filled with a thin tomato juice, a good shot of vodka and the lightest of spicing, it can only be described as thin, watery and underwhelming. 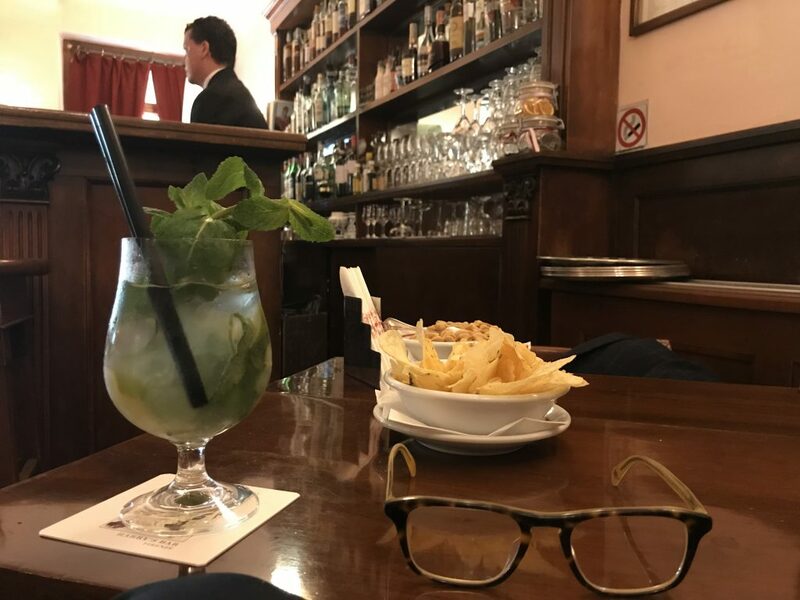 One imagines that a bar that is the progenitor of a drink will be the place to get, if not the best example of the drink, one of the very best. Not so, it was disappointing to say the least. That is until it occurred to me that this was the original, the Harry’s, the unadulterated Bloody Mary, a glass of just vodka and tomato juice that reflects the style of the 1920s. It may be lacking by today’s standards, but that doesn’t mean we should denigrate it; after all it can’t be a poor version of a drink if it’s the original. You could argue that it was later rounded off and completed as a drink, but that doesn’t take away from the fact that this is the original. Why shouldn’t the bar that spawned it continue to serve it in that time-honoured manner? 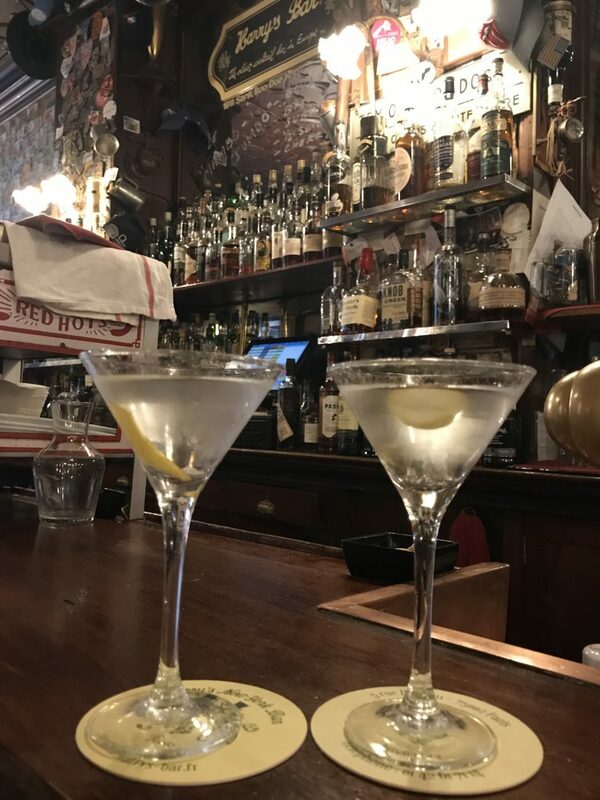 Finally, to finish off our visit and our tour of Harry’s bars, we of course ordered up two bone dry gin martini’s with a twist. What arrived were two martinis a little wetter than one would have preferred but perfectly serviceable. Harry’s New York Bar is just that, it’s a bar, pub or watering whole that serves cocktails alongside draft beer, not an American Bar in the style of the two Italian Harry’s and the historic cocktail bars of the great hotels. It’s an irresistible time capsule that is a must when in Paris; if there were to be a Paris based version of Cheers, this would be where it would be set. Hopefully this protracted look at the three Harry’s bars and my time in them will have answered some of the questions you may have had about them, and given you a flavour of each. So which Harry’s is better? I cannot answer that, they are each so different and each have elements about them that make them stand out above the others. Which is the original? I’ll stick with Harry’s Venice, not because of the issues over the name and renaming of Harry’s Paris, but because the concept of Harry’s Bar standing for an immaculate cocktail bar is entirely down to the Ciprianis in Venice. If it weren’t for them, then the name wouldn’t stand for anything and we wouldn’t even be having this conversation. Finally, which makes the better martini? Venice for being the coldest and driest (for the first two thirds at least)? Or Florence for being the most fragrant? Well to be honest neither of them, the answer is the bar we had martinis in the day before we left London for the continent and the day we returned: Dukes Hotel and the martini of Alessandro. Prev postRevisiting GoldenEye 007 on the N64: The Greatest FPS of All Time?